There are many reasons why people consider downsizing. Some realize that a home that was ideal for a family is too big once the children leave the house. Others may want to take the equity in their home and put it into investments or spend more time traveling. What everyone agrees on: they want to simplify their life. Are you considering downsizing? In the 30+ years I have worked with homeowners who want to transition to a simpler lifestyle, here are the most frequent questions they have. 1) What is my home worth? If you’ve been in your home a while, you may not be aware of how much property values have increased. While online sites like Zillow can give you a ballpark figure of what they think your home is worth, they are often inaccurate. I can provide you with a detailed, professional analysis that will give you an accurate assessment of your home’s true value. 2) Is now a good time to sell my home? Finding the right time to sell depends on several things – the market’s timing and your timing. I have deep insight into local market analytics and can advise you on the optimum time to list your home. I can also help you evaluate the timing that works best for you. There are a number of factors that can be the catalyst for downsizing. You may want a lower-maintenance lifestyle, a more walkable neighborhood or want to be closer to family. I can help you determine when it makes most sense for you personally to sell your home. 3) What do I do with all my stuff? Downsizing is a great opportunity to declutter, hold on to the things you really love, and make a fresh start. It also can feel overwhelming. I have a team of professional organizers, estate sale specialists and movers who can take all the stress out of managing your belongings. 4) What do I need to do to get the house ready to sell? If you decide to sell your home, my goal is to get you the greatest possible return on your investment. Homeowners often struggle with knowing whether they need to make repairs or improvements. I can do an assessment of your home and provide you with an analysis of which repairs or improvements will provide additional profit to you. As you move forward, I have a wealth of trusted professionals who you can depend on to do the job right – and I’ll handle all the coordination. I also have extensive experience in navigating more complicated real estate transactions, such as 1031 exchanges and homes that are in a trust. Whatever needs to be done to prepare your home for sale, I will take care of all the details. 5) Where will I go? There are numerous options for downsizing, and I can help you decide which kind of home best meets your needs. If you want to stay in the area, we can tour smaller homes, condos, townhomes, and 55+ communities to see what type of home is the best fit for you. If you want to move out of the area, I can refer you to an experienced agent in the location you’re interested in. If part of your plan is to acquire an investment property, I can assist you in finding a property that meets your goals, and connect you with an experienced property manager. My goal is to make your transition as smooth and stress-free as possible. 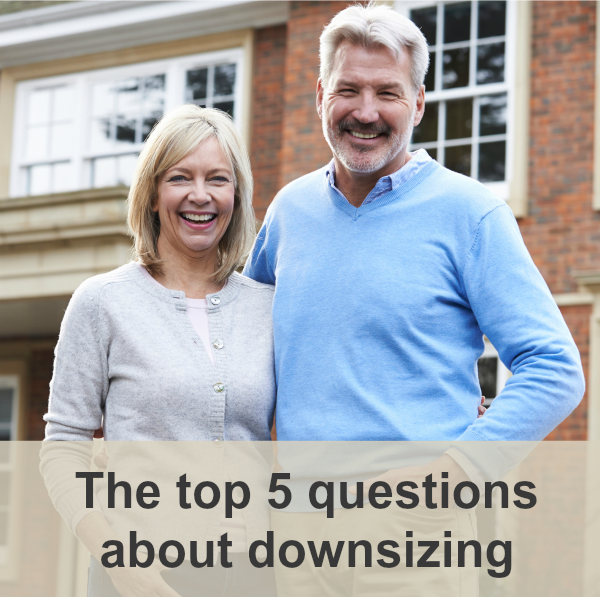 Do you have questions about downsizing? I’d love to help you determine if the timing is right for you. Please contact me at (425) 503-5397 or artw@windermere.com to set up a time to talk through your needs.